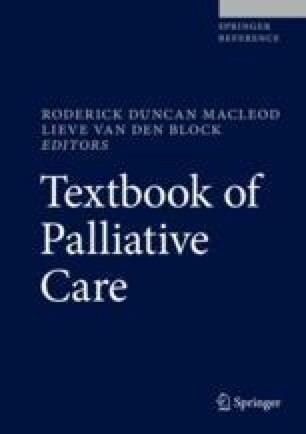 Pain is one of the most common symptoms encountered in palliative medicine. Good pain management involves ensuring pain is screened for, adequately assessed if present and appropriately managed. This includes targeted and systemic, nonpharmacological, and pharmacological approaches. This chapter seeks to give an evidence-based overview of approaches to screening for assessing and managing a patient’s pain.